Hello, all! 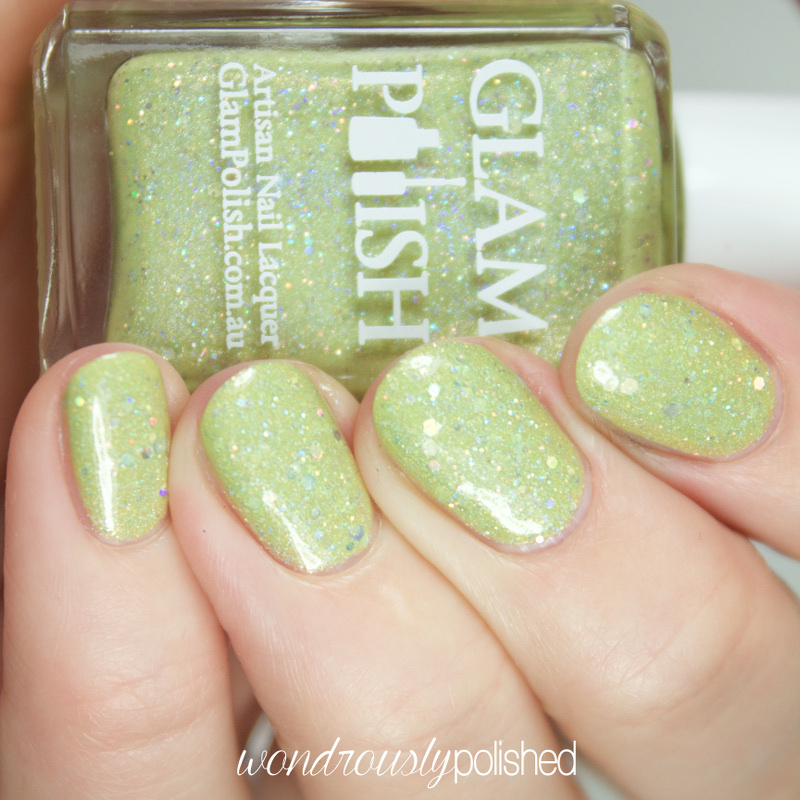 I am so excited about today's polishes from Glam Polish! *insert squeal of excitement* I have lusted after this stunning Australian indie brand for so long and I can easily say that these polishes live up to their hype. 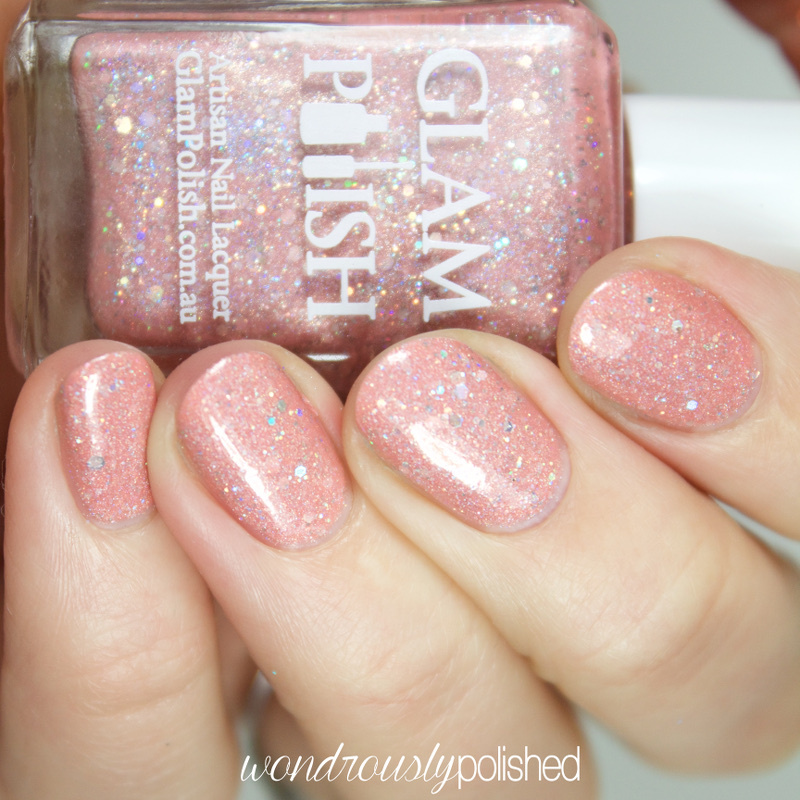 This collection consists of 9 beautiful chunky pastel holos with great formulas that are perfection in a bottle. I can't get enough of these and I hope you feel the same! 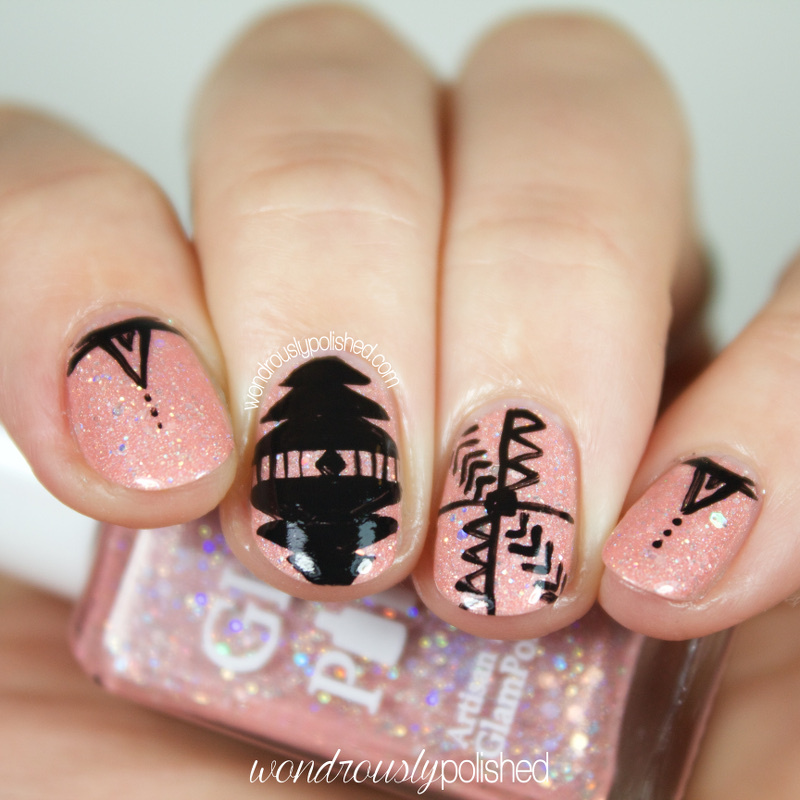 I also did a little bit of nail art with each of these (even though they're stunning enough on their own!). These beauties will be released later today, March 4th at 5pm EST so don't miss out! 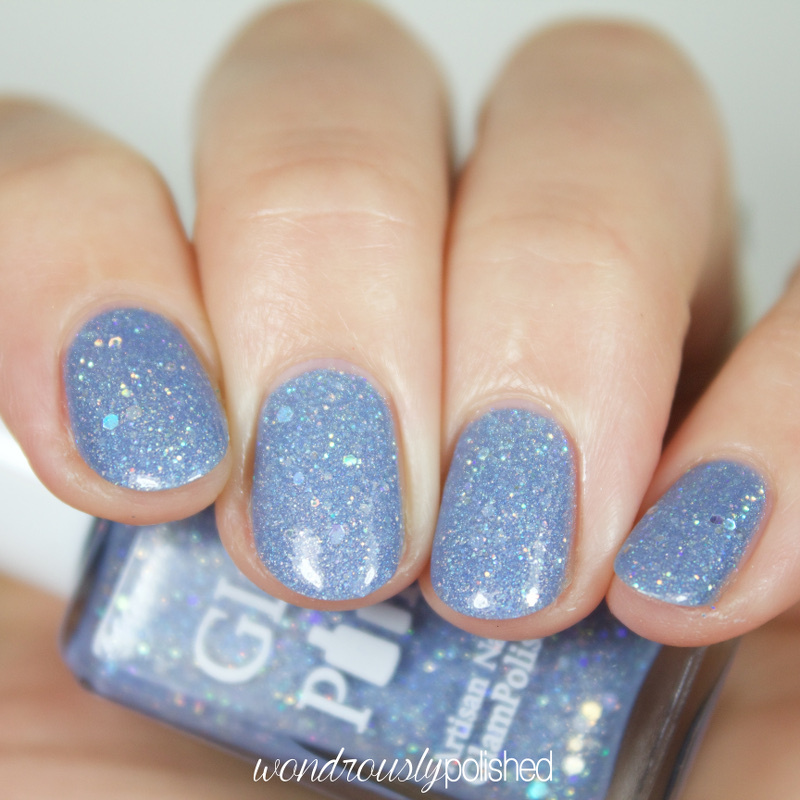 Spellbound is a stunning periwinkle blue chunky holo and it stood out to me immediately. You know Cinderella's beautiful ballgown? Well, this is her dress in a bottle. It's wonderful. Shown is 2 super easy coats. 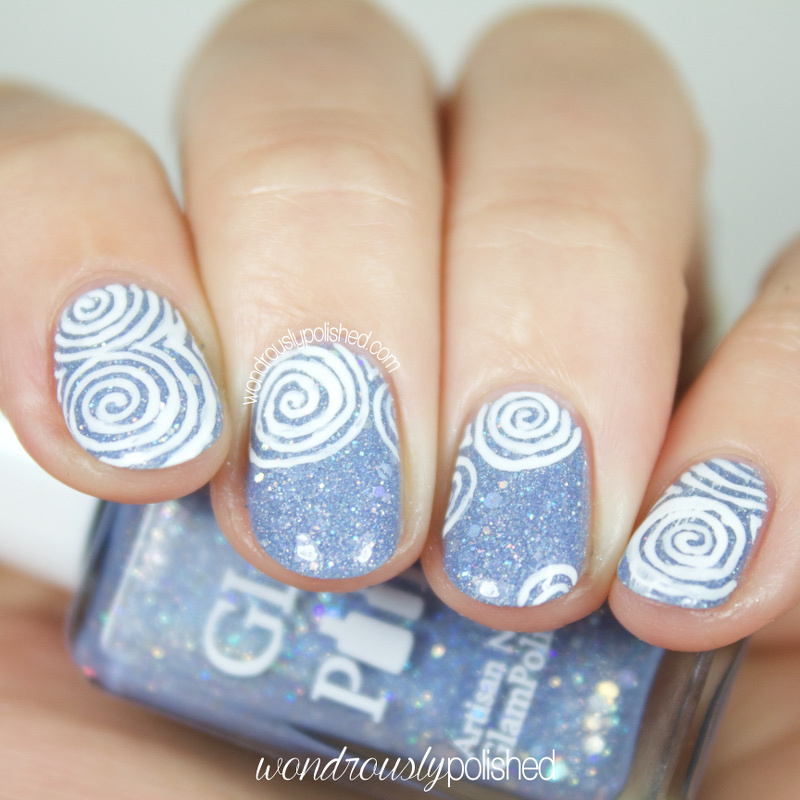 And some whimsical, swirly nail art over it! Entrance is a jaw-dropping vibrant teal. 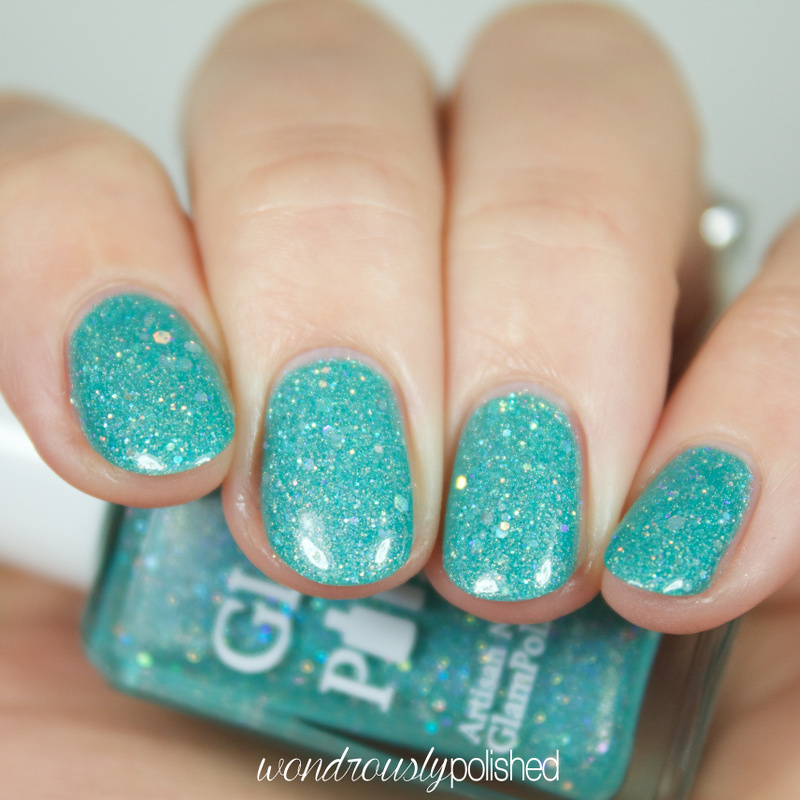 This is another shade that I was immediately drawn to because, well, it's the perfect shade of turquoise. The formula was great and shown is 2 coats. 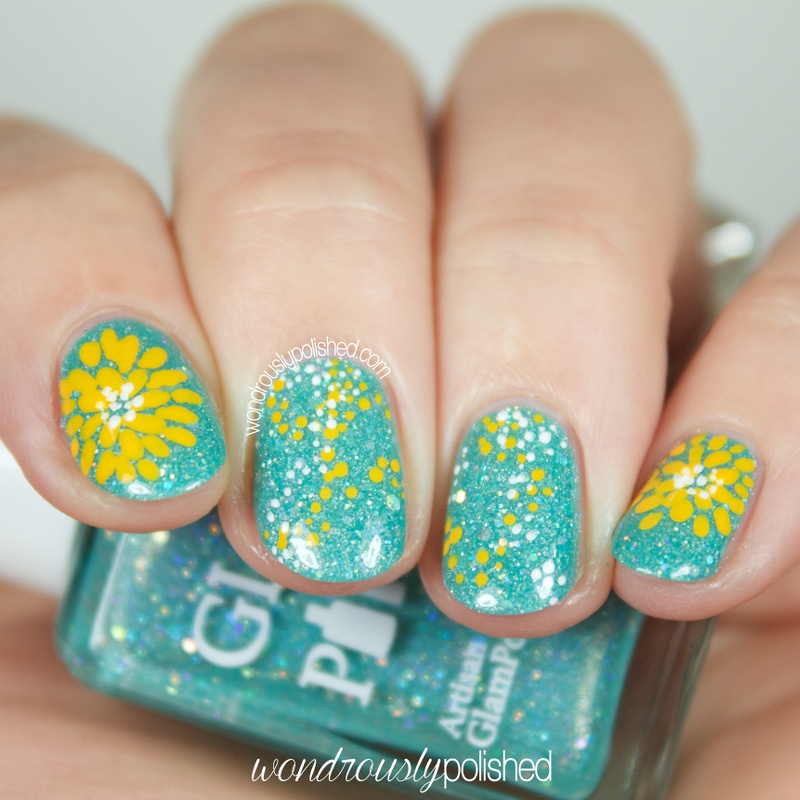 I love pairing bright colors together and for some reason this teal was begging for some yellow accents! I did some simple abstract flowers over this. Miraculous is a pale peach that I wasn't sure would work with my skin tone, but once I had it on, I really enjoyed it. 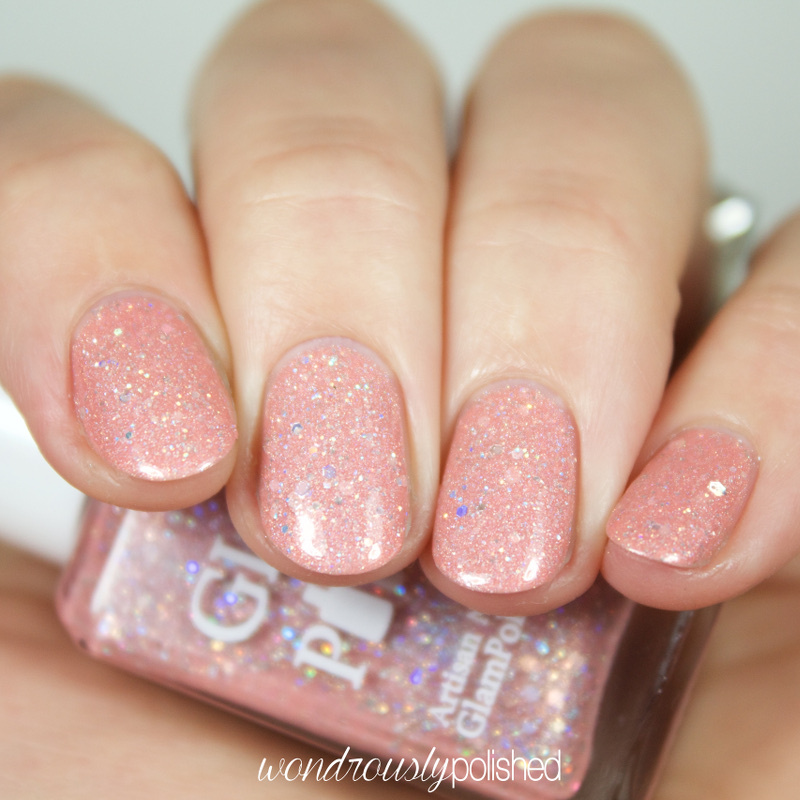 It's a subtle yet girly shade that I'm digging quite a bit. Shown is 2-3 coats. I'm not much of a girly girl and pinks are sometimes hard for me to rock (I feel self-conscious when I wear pink! ), so I added some edgy tribal print over this one. 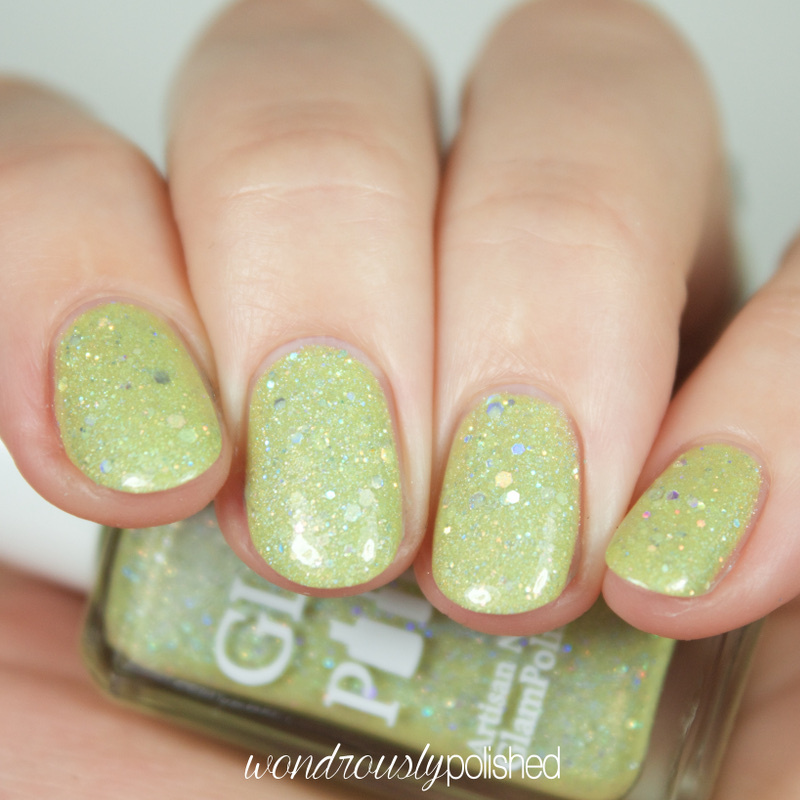 Finally, Mystify is a pastel chartreuse chunky holo and I'm pretty sure I need to have this color (holo included of course) painted on a wall in my house. It's so soothing and serene and I love how different this color is. Shown is 2 coats. And to finish up our nail art, I did some simple flowers. I love green and lavender together! Overall, I think it's pretty safe to say I am impressed. 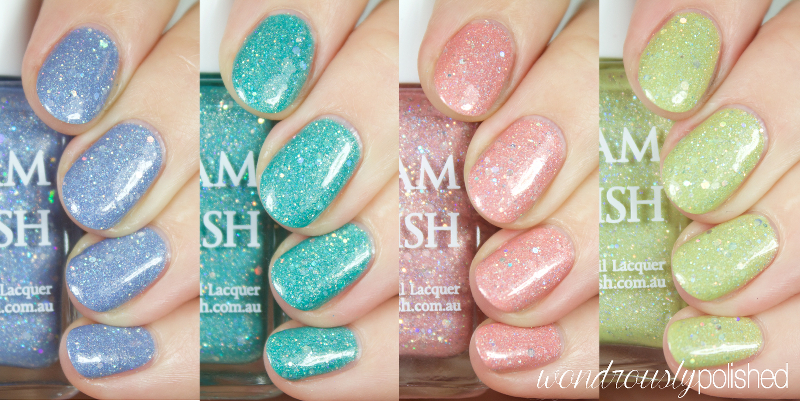 I think these are beautiful polishes with great formulas. You can pick these, and the rest of the White Witch collection, up starting today, March 4th, at 5pm EST. 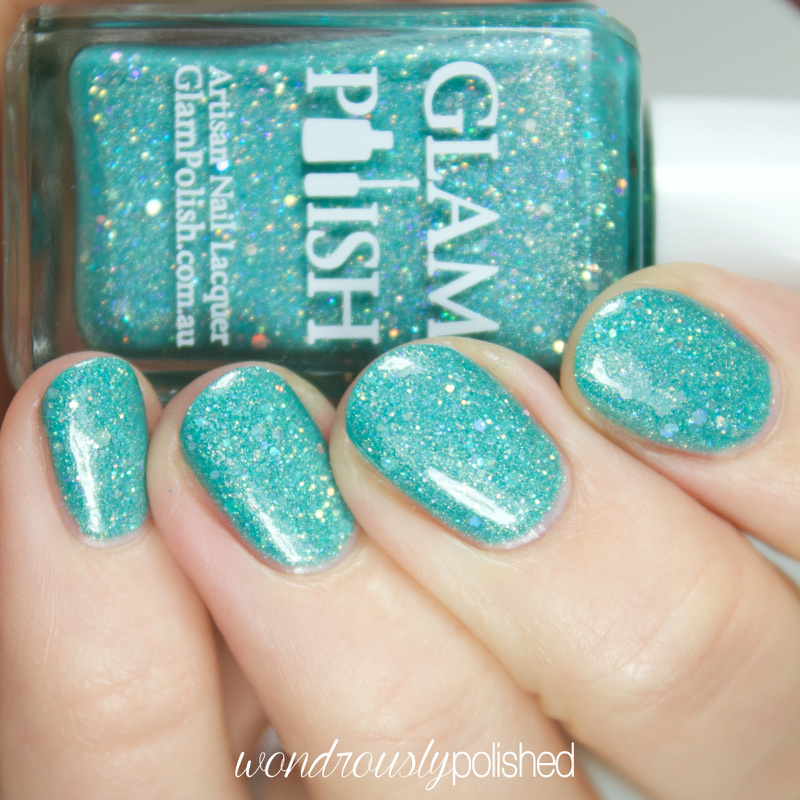 They will be available from www.glampolish.com.au for $11/bottle. 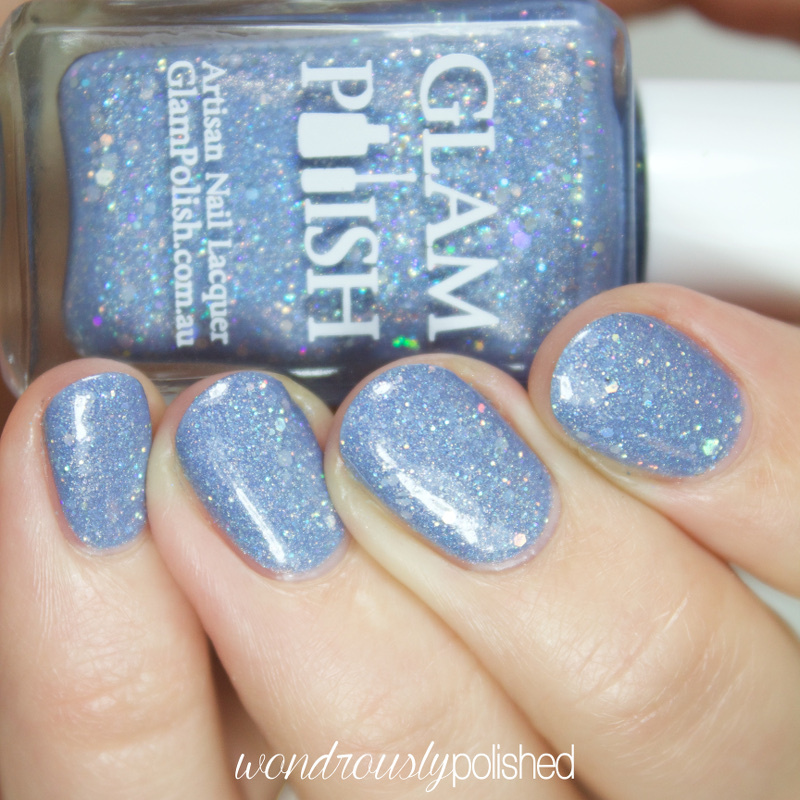 Be sure to follow Glam Polish on your favorite social media site to stay up to date with the latest releases and promotions!